(CNN) - One of the most recognizable NFL referees is hanging up his cleats. 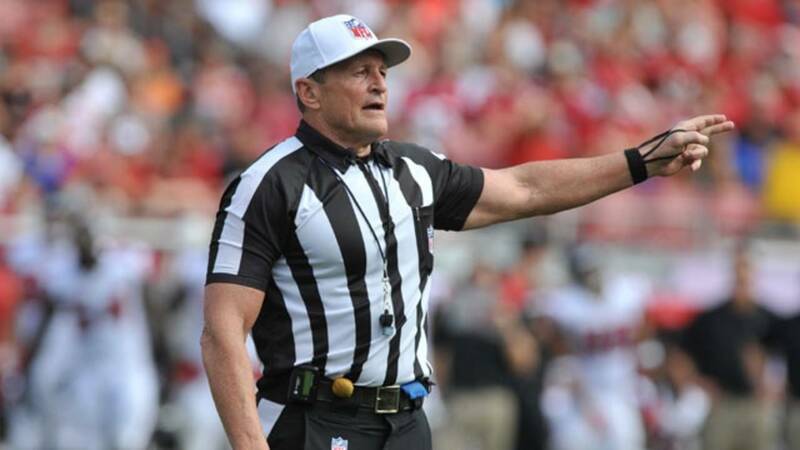 Ed Hochuli, known for his muscular physique, is retiring at age 67 after 28 seasons. Also retiring is referee Jeff Triplette, who was an official for 22 seasons. The announcement was made by Al Riveron, NFL senior vice president of officiating. Hochuli, an attorney off the field, was a fan favorite for years, in part for wearing tight shirts showing off his biceps and for the way he thoroughly explained penalties. He had worked as an official since 1990, and became a referee -- the head of a football officiating crew -- in 1992. But there will still be a Hochuli on the field at NFL games. Hochuli's son, Shawn Hochuli, has been promoted to referee next season. The younger Hochuli has four seasons of previous NFL officiating experience, most recently as a back judge in 2017. Former side judge Alex Kemp also has been moved up to referee. For a long time, working as an NFL official was considered a part-time job. It wasn't until last year that it became a full-time option, when the NFL and NFL Referees Association announced in September that the league hired 21 full-time game officials from the pool of 124 officials. The Hochulis, Triplette and Kemp were not on that full-time list last season.